In December 1995, the Netherlands booked the 16th and final spot at Euro ’96 by beating the Republic of Ireland 2-0 in a play-off at Anfield. The match was shown live on the BBC and the football the Dutch played was met with great acclaim. Many now believed their side – containing young blood such as Patrick Kluivert and a strong presence from the Ajax team that won the Champions League in 1995 – was capable of winning Euro ’96 and becoming revered like the great mid-1970s side starring Johan Cruyff (RIP) and the Euro ’88 winning team. 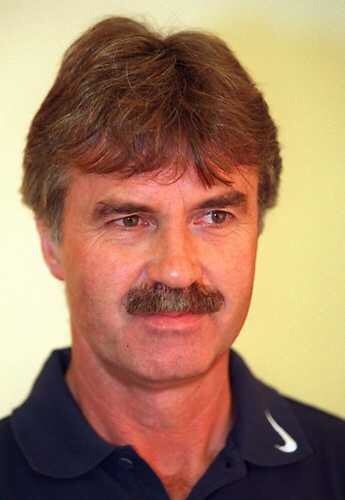 Guus Hiddink was manager of the Netherlands during Euro ’96. But manager Guus Hiddink was playing down their chances, pointing out they had lost to Belarus during qualifying (they only scraped into the play-offs by beating Norway in their last qualifying group match). Yet when England were paired with the Dutch in their group at Euro ’96 it looked a daunting prospect for the hosts. Two years of friendlies under Terry Venables had offered few real clues as to just how good England were. A competitive clash with the highly-rated Netherlands would provide a much better indicator. The match at Wembley fell in the final round of group stage matches, with both sides on the brink of going through to the last eight. England had drawn 1-1 with Switzerland before beating Scotland 2-0, while the Dutch had been held 0-0 by the Scots before defeating the Swiss 2-0. With head-to-head records applying, England could only be eliminated if they lost and Switzerland won against Scotland at Villa Park and made up the goal difference; likewise, the Netherlands were only at risk if they were beaten and Scotland won and overturned the goal deficit. It all seemed pretty unlikely and the smart money was probably on a draw, which would take England through as group winners. Memories of England’s controversial defeat to the Netherlands in 1993 were still fairly fresh as the sides met again during Euro’96. As well as seeking to prove themselves against a highly-fancied side, England had another good incentive to want to beat the Dutch. Just three years earlier a controversial night in Rotterdam had ended with the Netherlands beating England 2-0 and effectively ending Graham Taylor’s side’s hopes of making the World Cup finals, while the Dutch – the eventual winners – had also beaten them 3-1 during a crucial match in the group stage of Euro ’88. You had to go back to 1982 for England’s last victory over the Netherlands and it would mean a lot if they could get it during the European Championship on home soil. The Dutch squad was certainly not one happy family, as there were reports of divisions within the camp and midfielder Edgar Davids was sent home after speaking out of turn about Hiddink. Clarence Seedorf also had his say after being substituted early on against the Swiss following a booking. England, by contrast, seemed to have a good team spirit that had grown with the win over Scotland after a barrage of press criticism over matters both on and off the field. That togetherness would grow further on a never-to-be-forgotten night. 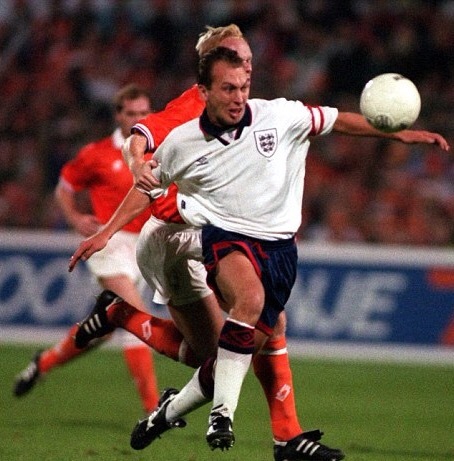 Alan Shearer sets England on their way against the Netherlands. The tactical tinkering by Venables would pay off. In the opening minutes Shearer saw an effort diverted away by Richard Witschge as England sent out a message that they were up for this. Midway through the first half came the breakthrough, Paul Ince being felled in the area and Shearer converting the spot-kick past Edwin van der Sar. Shearer had gone into the finals without an England goal since September 1994, but now he had netted in three successive games. The match remained delicately poised until the break, David Seaman producing an excellent save to deny his Arsenal team-mate Dennis Bergkamp an equaliser. It’s perhaps easy to forget that the Dutch looked the stronger side as half-time approached, although England crucially held the lead. Teddy Sheringham doubles England’s lead. It was in a 12-minute period in the second half that the night turned from a decent one for England into a momentous occasion. Sheringham headed in Gascoigne’s excellent corner on 50 minutes and seven minutes later a delightful third goal featuring both players sealed victory. Gascoigne, in one of his best post-Italia ’90 England displays, powered his way through and found Sheringham, who teed up Shearer to unleash a powerful drive into the net. On 62 minutes van der Sar could only parry Darren Anderton’s shot and Sheringham pounced to score. ‘Netherlands 0, England 4’ proclaimed the Wembley scoreboard (England were technically the away side for this match) and it was a ‘pinch me’ moment. Not just for England either. The Scots were for once delighted to hear of English success, as they were handed a serious chance of progression. Ally McCoist’s goal meant they led 1-0 against Switzerland and as England were 4-0 up, Scotland were now above the Netherlands on goal difference. Would this finally be the moment when Scotland advanced from the group stage at a major tournament? Alas no. Kluivert scored what was merely a consolation in terms of the match against England but was of great importance so far as deciding who went through was concerned. England’s position was now so comfortable they had withdrawn both goalscorers and Paul Ince – who faced suspension in the next round after picking up his second booking of the competition – with David Platt and youngsters Nick Barmby and Robbie Fowler entering the action. As the final whistle sounded at Wembley to seal England’s 4-1 victory, play was still going on at Villa Park. ITV headed straight there to show the final moments live, but the Scots could not get the second goal. They had achieved the same points, goal difference and head-to-head record as the Dutch, but crucially had scored fewer goals. As in the 1978 World Cup they had come close to unlikely progression when all had seemed lost, only for the Dutch to end the dream. Not that there was much celebrating among the orange contingent at Wembley, their side having been well beaten. They now faced a quarter-final clash with France at Anfield. England could look forward to meeting Spain at Wembley, with the nation now increasingly expectant after this triumph. Teddy Sheringham puts England 4-0 up against the Dutch. There were notes of caution too, but euphoria was now gripping the nation. Four days later England looked far less potent against Spain and rode their luck as they drew 0-0 and won on penalties – still their only shoot-out triumph. The Dutch, who like England have endured their fair share of spot-kick heartache, duly went out that way to France. Destiny seemed on England’s side but those two familiar foes of Germans and penalties would end the dream in the semi-final. It was heartbreaking for the nation as the 30 years of hurt continued, but the memories of beating the Netherlands 4-1 remain special 20 years on. Great read. That pass from Sheringham to tee up Sheared was just sublime. I feel sorry for those born after 1990 who have probably never seen England in their full pomp as they were on this night (Munich aside?). Hopefully this generation can see that English football can exist beyond the Premier League again in the way we did in years gone by.